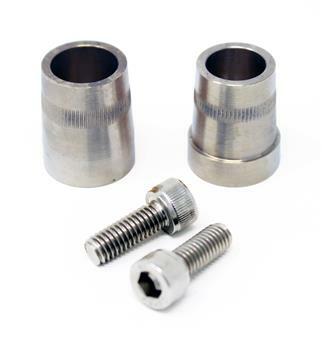 Torque Solution Battery Terminals are made from T6 6061 Billet Aluminum and fit all batteries that require a M6 bolt battery post. Over 2x more conductive than brass and lightweight. Confirmed to fit: Deka, Braille, Odyssey (PC680, PC925, PC1200, etc), Lithium Pros (C680, C925, etc), Hawker and most lightweight batteries.